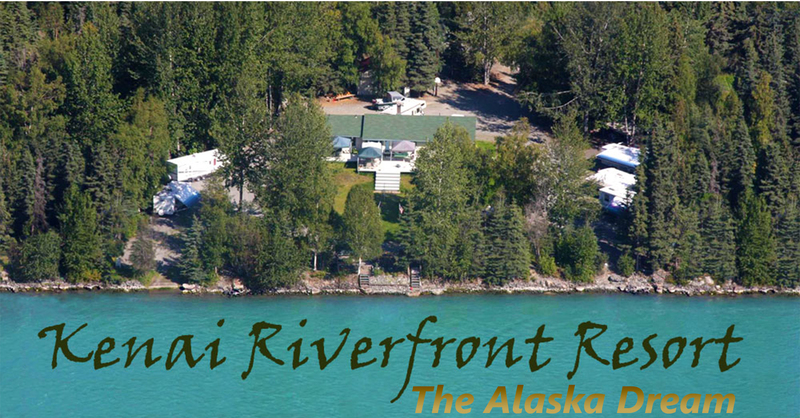 At Kenai Riverfront, we offer a covered riverside fish cleaning table with water, as well as electric outlets if you bring your own vacuum sealer. We also have ample freezer space for the temporary storage of your fish during your stay. The two most important things to do with your fish, immediately after catching it, is to bleed it out by cutting or pulling the gills and cooling it with crushed ice. Fresh caught fish left for even a short time without doing this properly will not taste fresh, in fact it won't taste very good at all. We also recommend skinning your fish, both salmon & halibut, during the filleting process to forever seperate the slime from the beautiful fresh fillets. Every Alaska sourdough you come across will tell you how to fillet a fish, and while most agree on the same techniques and methods when filleting a halibut, there are a wide variety of approaches to filleting a salmon, particularly a King Salmon, whose larger than life size can really be intimidating to most fishermen who are used to Walleye, Bluegills, or Trout. 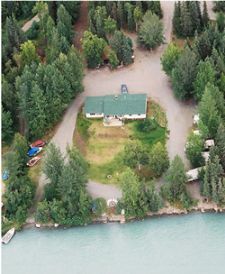 For more information on our unique approach to preparing "ready to cook", clean, skinless, 90% boneless, and portioned salmon fillets read our "Alaska Salmon Filleting" page that follows, describing our own method developed after years of filleting big Kings. We always recommend that our guests take fish home with them on the airline, as checked baggage, using a hard side cooler or fish box (we prefer coolers). Inexpensive coolers, some even with wheels, can be bought at Fred Meyer or Safeway once you know how much fish you are taking home. The size cooler we recommend holds approximately 50 pounds of fish, keeping it within the airline weight restriction as well. Fish packed properly in a cooler (ideally vacuum sealed and flash frozen) will stay frozen for more than 3 days if not opened, so most flights home, even internationally, will ensure your fish is fine. If you need to ship your fish home, or to family and friends, you can use a variety of local shippers, including Alaska Airlines Cargo, UPS, Fedex, and DHL. Contact the individual carriers for specific rate quotes.